First I sprayed a muffin pan with non stick spray. 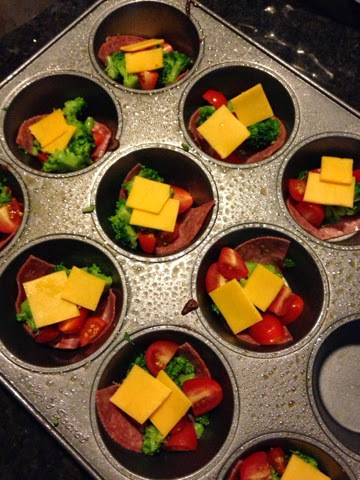 Then in each muffin I put some salami, tomato, brocolli and cheese. Them I beat 8 eggs and a dash of milk together. 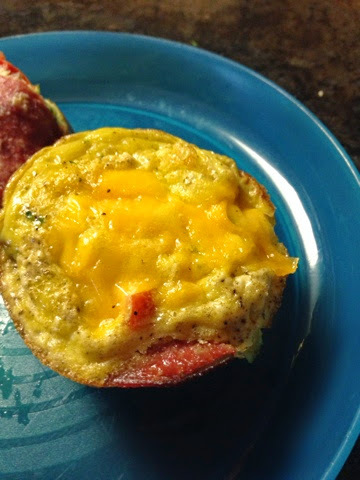 Seasoned them with salt, pepper and some hot sauce and poured a little in each muffin. I baked them for 15 minutes at 350 degrees. 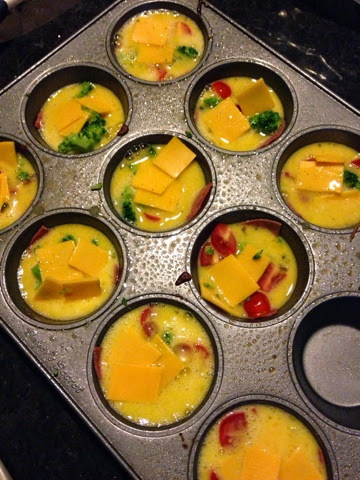 These are great warm for breakfast but I also keep extra in the refridgerator to eat cold as a high protein snack.